NYAPRS Executive Seminar Hotel Discounted Rates Extended until 4/8! NYAPRS Note: Don’t miss this opportunity to join your colleagues at NYAPRS Executive Seminar, April 21-22, at the Albany Hilton. Understanding time away from the office is limited, however, your participation will be time well-spent for your organization. And, we have extended the Hilton discounted rate until April 8th and continue to offer early bird registration rates so that you can attend at the most cost effective rate possible. See below for more details, including links to register and secure lodging! Understanding schedules are busy, NYAPRS is confident this 1 ½ day agenda will share updated and pertinent information that your agency will need to best position in this new environment. Evidence, examples and models supporting integrating behavioral health, substance use and primary care will be shared at this event to assist in advancing your agency's position and services within health care systems regionally under managed care and value-based payment. Join your colleagues and hear from national experts and state policy makers on collaborations and best practices with health homes, HARPS, DSRIP, FQHCs, hospital systems and managed care organizations to continue to best serve individuals with co-occurring disorders and complex physical health care needs. We understand time away from the office is limited, however, your participation will be time well spent for your organization. One day registration fees are also available for you convenience. 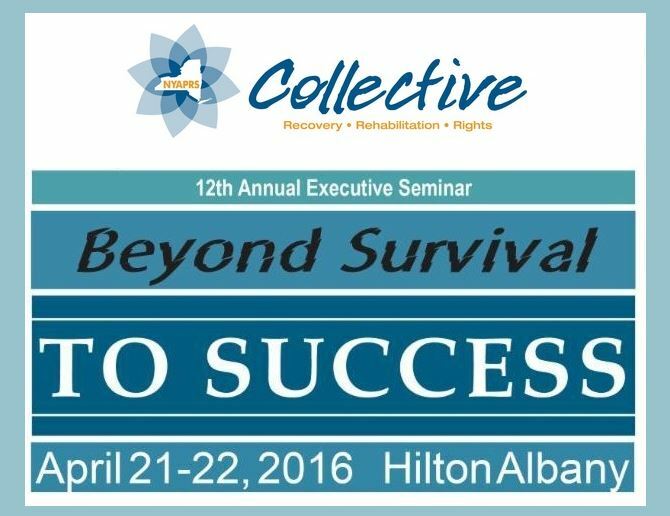 We look forward to seeing you in Albany!